The simplest way to help is to make a donation. We make sure every penny you donate here goes directly into funding research. IN-vision relies entirely on voluntary donations. To take part in fundraising activities, or organise your own event see here. 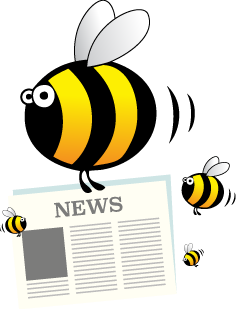 Keep up-to-date with IN-vision’s work and upcoming events. IN-vision is dedicated to furthering research into Infantile Nystagmus (IN), a little-known eye condition affecting young children for life. Moorfields Eye Hospital is holding an information day for adults with nystagmus since childhood. 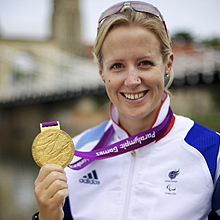 Our Patron, Naomi Riches MBE, completed rowing all 165 miles of the River Thames in 48hrs. 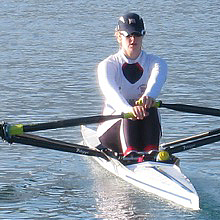 Subject to verification by Guinness World Records, she is the fastest woman ever, taking 2hrs off the previous world record. 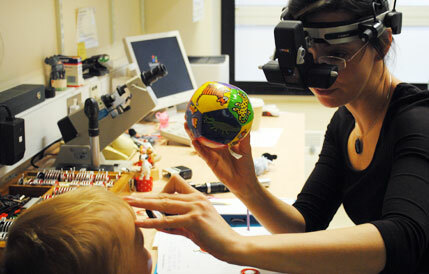 IN-vision successfully funded research and clinical assessment equipment for the new Eye Movement nystagmus clinic at Plymouth Royal Eye Infirmary! Nystagmus is an eye condition that describes a rhythmic oscillation of the eyes. It can severely affect visual acuity and deeply impact upon quality of life. IN-vision aims to collate the most important research papers and developments in the field to encourage support of researchers from around the globe. If you are the parent/carer of a child that is newly diagnosed with Infantile Nystagmus and would prefer just to talk to someone, then IN-vision is here to help.